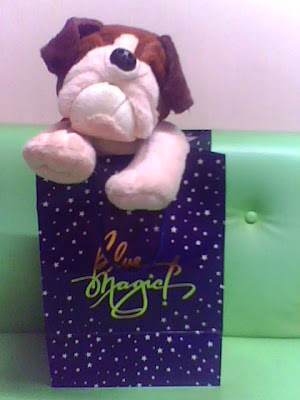 Home 2010 EXchange gifts 2010 Team Christmas Party blue Blue Bag Blue Magic christmas gift cute puppy Dampa exchange gift gifts Kris-Kringle puppy Seafood stuff toy tame dog A Puppy Comes Out From the Blue Bag! 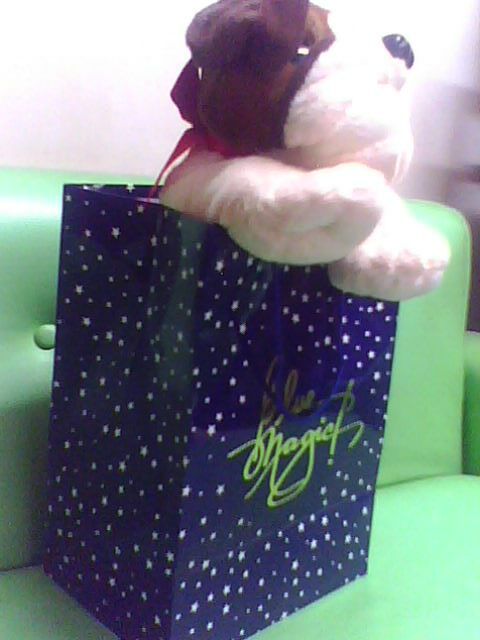 And finally he comes out from the blue bag! Do you got the right guess? A puppy...a puppy...a puppy...! A soft little puppy! Take a quick glance on him! What can you say about this puppy? Do you expect that a kind of this is inside this box?! He got a brown eyes and a brown face. His skin is pale white! What more can you say about him?! Yup, that's what I've got in our recently concluded Kris-Kringle, our team 'Seafood' Christmas party held at the Dampa! Looking at the face of this puppy, it seems that he's not that tame! It seems that he can immediately bite you! He got big eyes! 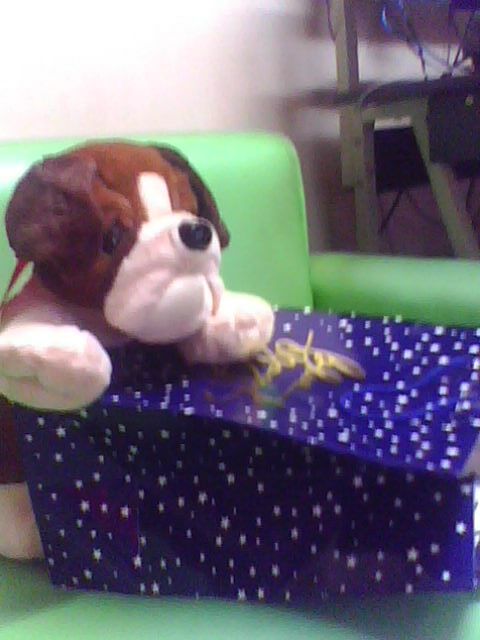 My officemate who gave me this gift said that she finds it hard to look for this kind of puppy. In my wish list, I said a dog or a big puppy. Or even a wild tiger or a cat! But I prefer an ipod! But I got surprised seeing this one!